Modern cars have become incredibly fuel efficient and one main reason for this is the development of new gasoline direct injection engines. These engines release gasoline via a high-pressure nozzle directly into the combustion chamber ensuring the exact right mixture of fuel to oxygen, decreasing waste and making your car as fuel efficient as possible and increasing performance and mileage. But caring for these engines can be complicated and avoiding carbon build-up is an important factor in the longevity of the engine. MR Auto SD’s ASE certified Master Technicians are trained in the technique of direct injection cleaning, where carbon deposit build-up is removed from the intake valves before it causes misfiring, pre-ignition or detonation to occur, which down the road could lead to major engine overhaul and repairs. 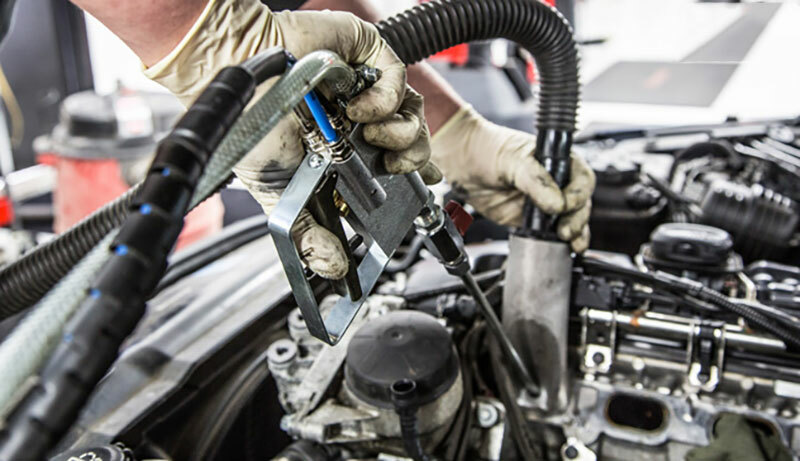 Problems such as cold start misfires, misfires in general, rough or extremely rough idle can be a sign that you may need direct injection cleaning. With all our customers, our main goal is to educate about direct injection cleaning and provide preventative tips to help slow the problem down. If not taken care of, the engine will eventually require carbon cleaning sooner than later. The direct injection cleaning process will take place every 60-100k miles, depending on vehicle make and model. Call us today and make an appointment for a direct engine cleaning. Fill out the form and one of our friendly team members will contact you with a confirmation.